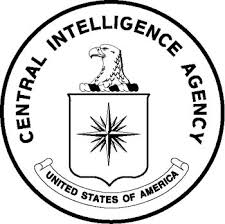 In the twentieth century, the CIA conducted remove viewing experiments in which they tested alleged psychics and clairvoyants to determine if they were able to see distant events mentally. In the May 22, 1984 remote viewing session recorded below and declassified in August of 2000, a CIA agent questioned a psychic about the ancient history of Mars, c. one million years BCE. According to a 2001 book, the agent was remote viewing program director F. Holmes "Skip" Atwater, and the remote viewer was Joe McMoneagle. McMoneagle, however, claims that the agent was Robert Monroe. In the session, the remote viewer claims to identify pyramids and to tell of a dying but noble ancient race, tropes familiar from midcentury science fiction. Given the lack of evidence for the Martian civilization the remote viewer describes, the most parsimonious explanation is that he obtained or deduced the time and date of the target (either prior to the start of the session or, as the transcript seems to indicate, by reading nonverbal cues and extrapolating on wording used by the CIA agent) and filled in the story from science fiction. Sealed envelope coupled with geographic coordinates. ​ approximately 1 million years B.C. Selected geographic coordinates, provided by the parties requesting the information, were verbally given to the subject during the interview. SUB: ........... I want to say it looks like ah....I don't know, it sort of looks ....I kind of got an oblique view of a ah..pyramid or pyramid form. It's very high, it's kind of sitting in a... large depressed area. SUB: It's yellowish, ah...okra colored. MON: All right. Move in time to the time indicated in the envelope I've provided you and describe what's happening. SUB: I'm tracking severe, severe clouds, more like dust storm, ah..it's geologic problem. Seems to be like a ah...Just a minute, I've got to iron this out. It's really weird. MON: Just report your raw perceptions at this time, you're still early in the session. SUB: I'm looking at, at a..after effect of a major geologic problem. MON: Okay, go back to the time before the geologic problem. MON: All right. At this period in time now before the geologic activity, look around, in and around this area and see if you can find any activity. SUB: ........... I'm seeing ah....It's like a perception of a shadow of people, very tall...thin, it's only a shadow. It's as if they were there and they're not, not there anymore. MON; Go back to a period of time where they are there. SUB: ................. Um... (mumble) It's like I get a lot of static on a line and everything, it's breaking up all the time, very fragmentary pieces. ​MON: Just report the raw data, don't try to put things together, just report the raw data. SUB: I just keep seeing very large people. They appear thin and tall, but they're very large. Ah...wearing some kind of strange clothes. SUB: ....Deep inside of a cavern, not a cavern, more like canyon. Um, I'm looking up, up the sides of a steep wall that seem to go on forever. And there's like ah... a structure with a...it's like the wall of the canyon itself has been carved. Again I'm getting a very large structures, no.... ah....no intricacies, huge sections of smooth stone. SUB: ........ Yes, they're very, it's like a rabbit warren, corners of rooms, they're really huge, I don't, feel like I'm standing in one it's just really huge. Perception is that the ceiling is very high, walls very wide. SUB: They have a ah....appears to be the end of a very large road and there's a ...marker thing that's very large, keep getting Washington Monument overlay, it's like an...obelisk. ​SUB: ......... It's like I'm in the middle of a ..huge circular basin ...of the range mountains by almost all the way around, ..very ragged, ragged mountains, very tall. Basin's very, very, very large. Scale seems to be off or something it's just really big, everything's big. MON: I understand the problem just continue. ​SUB: ............. See just a right angle corner to something but that's all, I don't see anything else. SUB: The cluster of squares up and down. Um.... it's like you want to make them square anyway. They're almost flush with the ground and it's like they're connected....Something very white or reflects light. MON: What's your position of observation as you look at this thing that reflects light? SUB: I'm amid ah...oblique left angle, sun is ah... sun is weird. MON: Look back down at the ground now, and we're going to move just a little bit from this place, just a little bit from this place. SUB: It's like I can just perceive ahmah...like a radiating pattern of some kind. It's like some really...ah...strange intersecting kind of roads that are dug into valleys, you know, where a road is just a little below the edge. MON: Tell me about the shapes of these things. MON: Okay. Now I have, I notice electrically you're nulled out a little bit and I want you to stay deep and recapture your focus here. SUB: It's really tough, it's seems like it's just always very sporadic. Take some time and get back deep. SUB: See the..... um, intersecting ah....whatever these are, are aqueduct type things.... these.... rounded bottom carved channels, like road beds. See ah.......... see pointed tops of something on the horizon. Even the horizon looks funny and weird, it's like ah.... different....misty, like it's really far away.... very vague. 80 degrees south 64 degrees east. SUB: See pyramids....Can't tell if it's overlay or not 'cause they're different. MON: Okay. Do these pyramids have insides and outsides? SUB: ................ Um-hum, got both, and they're huge.... It's really, ah...it's an interesting perception I'm getting. SUB: It's filtered from storms or something. SUB: They're like shelters from storms. MON: These structures you're seeing? SUB: Yes. They're designed for that. ​SUB: Different chambers,...but they're almost stripped of any kind of...furnishings or anything, it's like ah...strictly functional place for sleeping or that's not a good word, hibernations, some form, I can't, I get real raw inputs, storms, savage storm, and sleeping through storms. SUB: ................... Ah...very...tall again, very large...people, but they're thin, they look thin because of their height and they dress like in, oh hell, it's like a real light silk, but it's not flowing type of clothing, it's like cut to fit. SUB: They're ancient people. They're ah..they're dying, it's past their time or age. SUB: They're very philosophic about it. They're looking for ah.... a way to survive and they just can't. MON: What is it they're waiting for? SUB: ............... They're ah.... evidently was a ... a group or a party of them that went to find ah...new place to live. It's like I'm getting all kinds of overwhelming input of the....corruption of their environment. It's failing very rapidly and this group went somewhere, like a long way to find another place to live. MON: What was the cause of the atmospheric disturbance or the environment disturbance? SUB: Oh, I get a globe .... ah...it's like a globe that goes through a comet's tail or .... it's through a river of something, but it's all very cosmic. It's like space pictures. SUB: .............. All I get is that they must just wait. Doesn't know who I am. Think he perceives I'm a hallucination or something. MON: Okay, when the others left, these people are waiting, when the others left, how did they go? SUB: ........................... Get an impression of ah...... Don't know what the hell it is. It looks like the inside of a larger boat. Very rounded walls and shiny metal. MON: Go along with them on their journey and find out where it is they go. SUB: ................. Impression of a really crazy place with volcanos and gas pockets and strange plants, very volatile place, it's very much like going from the frying pan into the fire. Difference is there seems to be a lot of vegetation where the other place did not have it. And different kind of storm. MON: All right it's time to come back now to the sound of my voice into present time to right now the 22nd of May 1984, the sound of my voice. Move now back to the room, back to the sound of my voice, back further now to the sound of my voice on the 22nd of May 1984. NOTE: ()* Indicates monitor comment recorded but not heard by the subject.